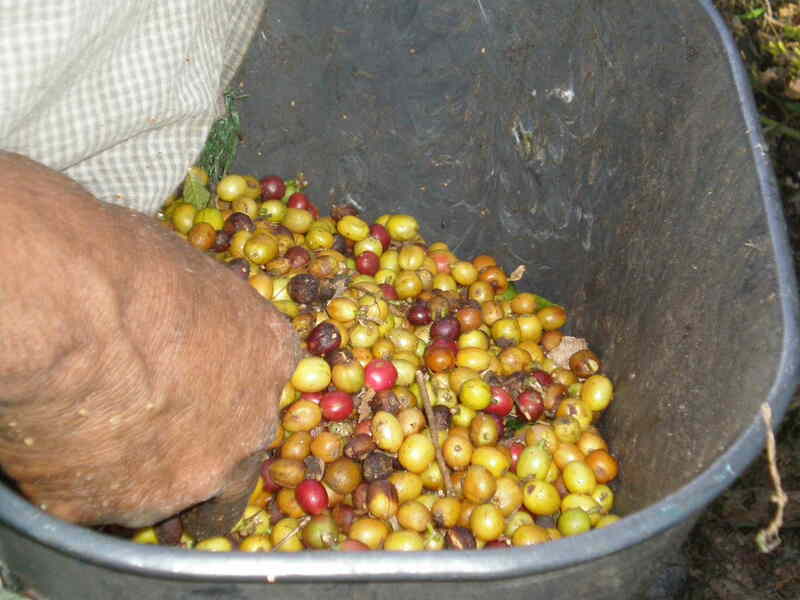 Recently, Briton Laura visited a coffee plantation a few hours west of Bogotá with Bogotá Bike Tours. 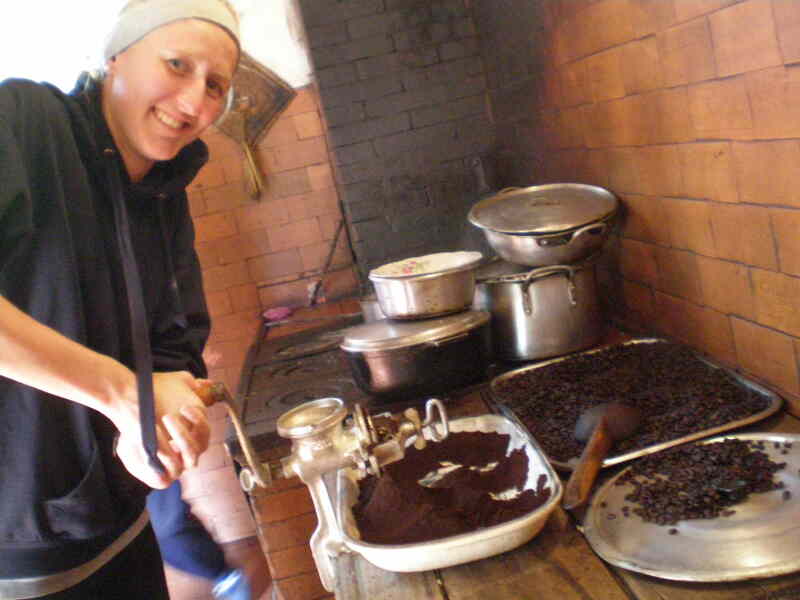 Laura and Karolina, the guide, loaded their bikes onto a bus in north Bogotá and rode west, to near the town of Alban, where they pedaled to the El Porvenir coffee plantation. 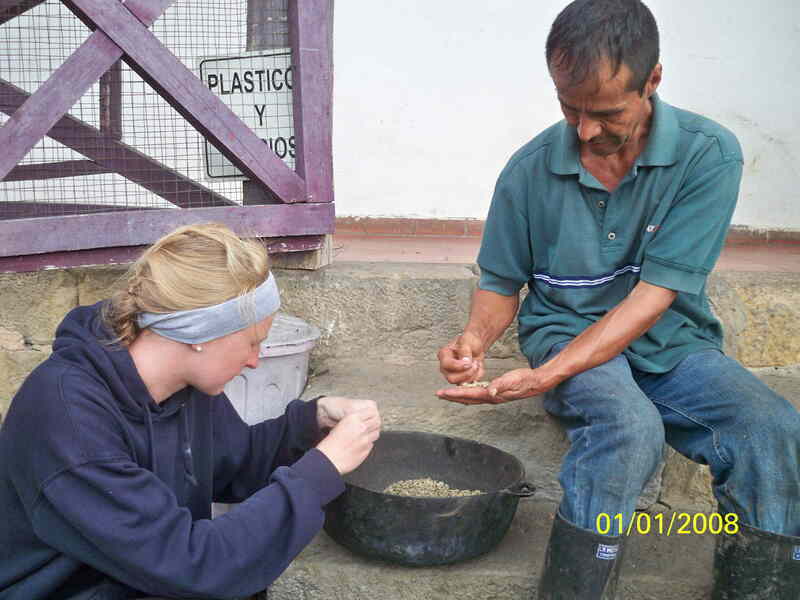 The pair cycled through the area and visited neighboring farms. 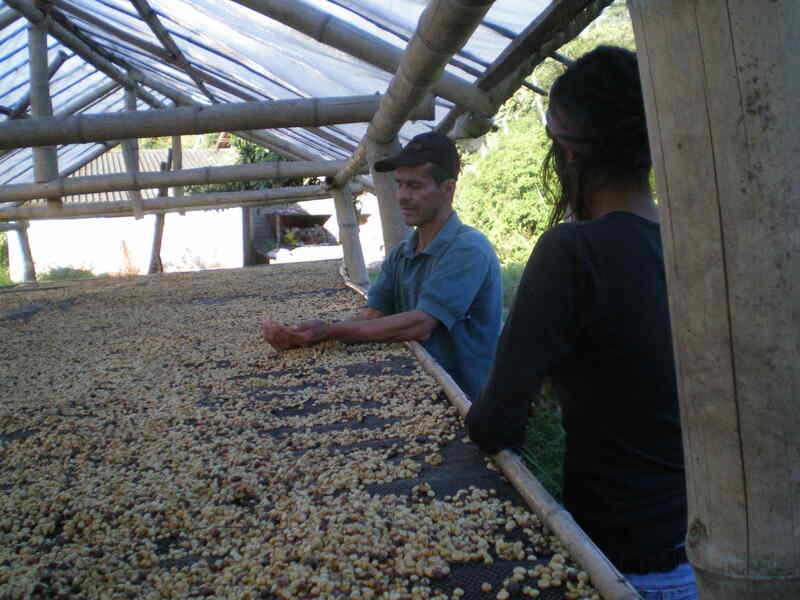 On the plantation, they watched and participated in coffee harvesting, drying and roasting – as well as tasting, of course! 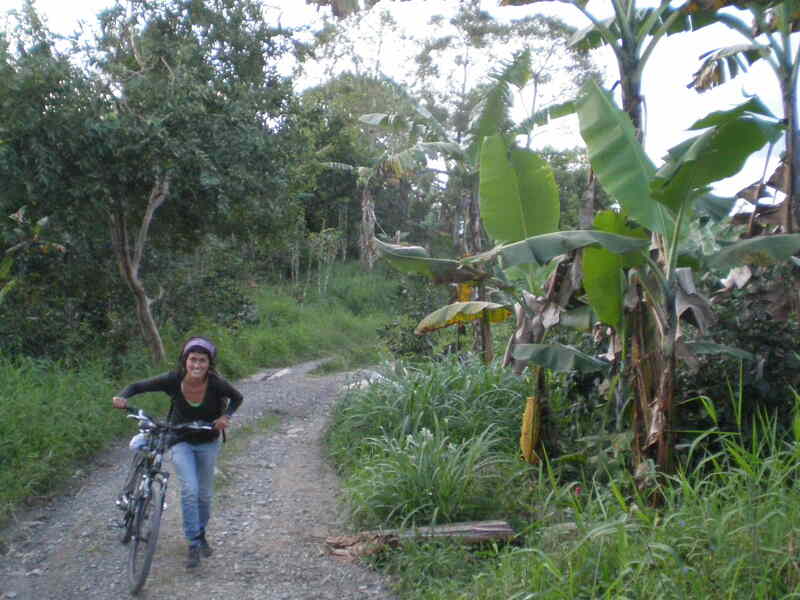 Cycling (and walking) through coffee country. 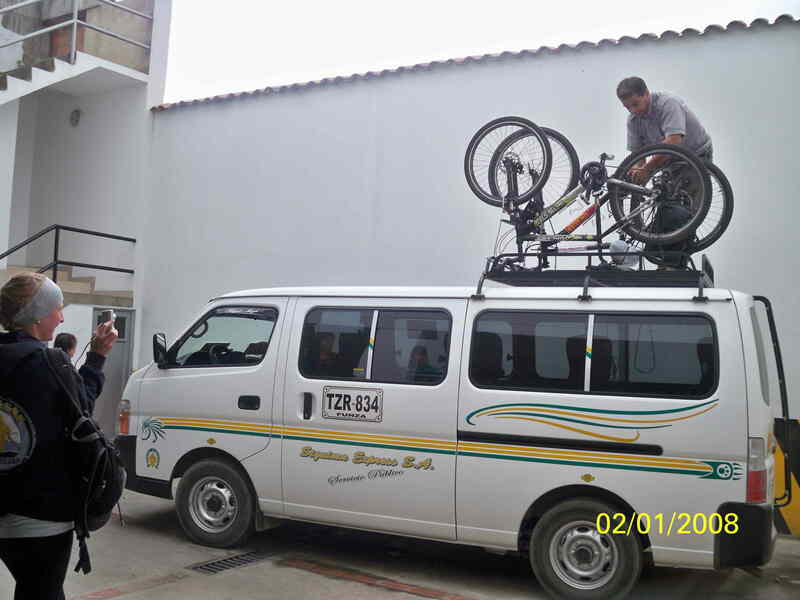 Loading the bikes onto the bus for the ride to Alban. 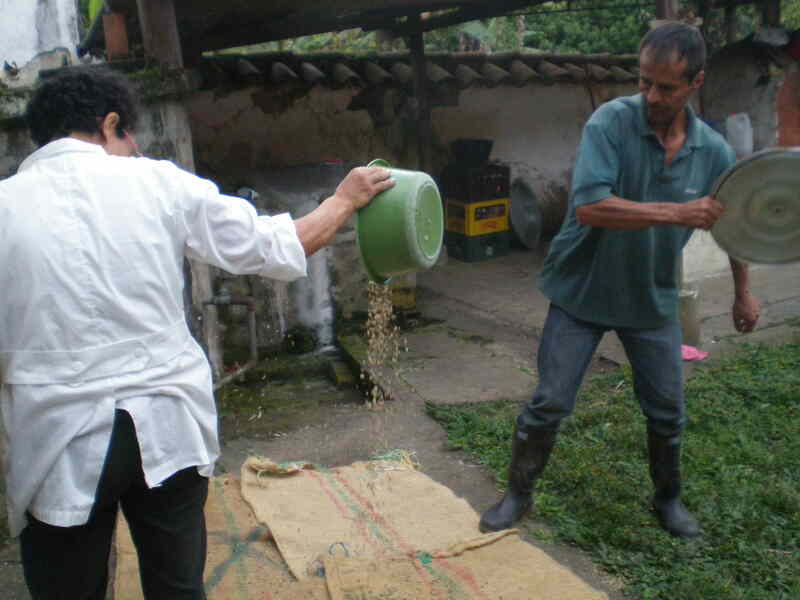 Harvesting coffee beans on El Porvenir plantation west of Bogotá. 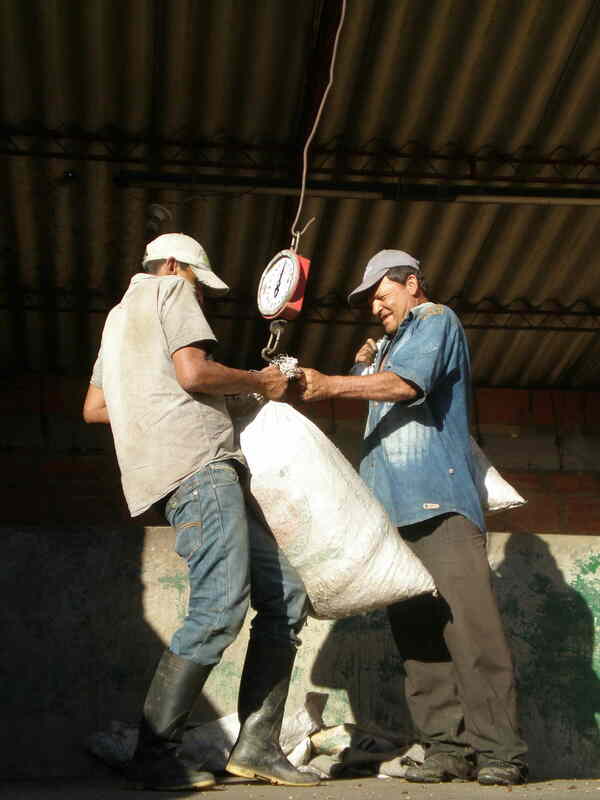 Weighing a sack of coffee beans. 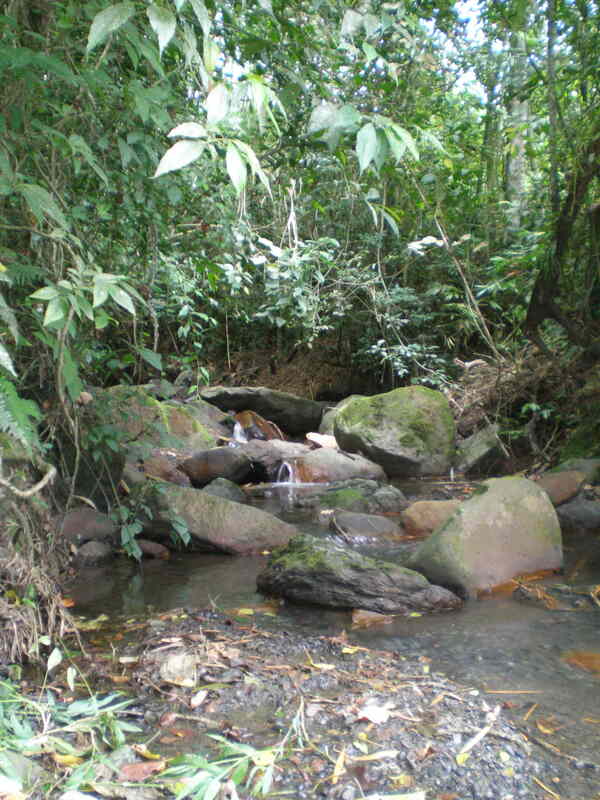 A stream in coffee country. 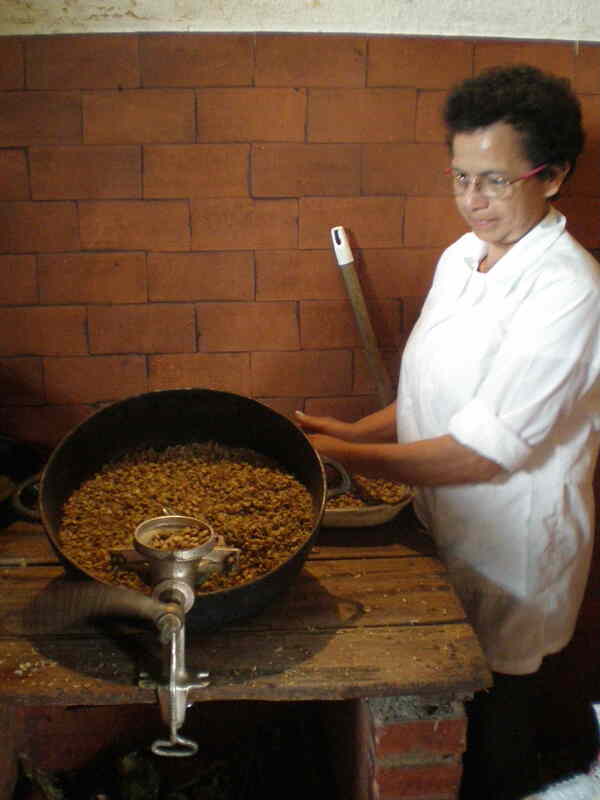 Separating coffee beans by hand. 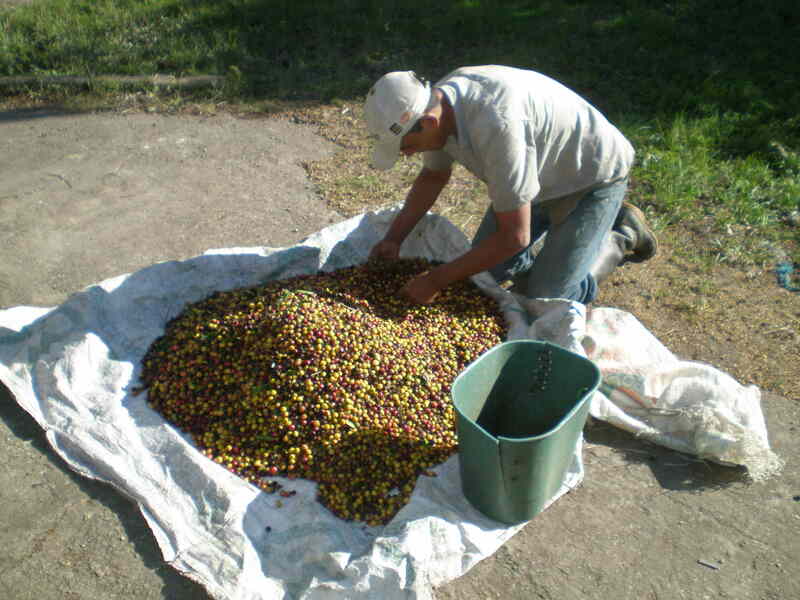 Coffee beans spread out for drying. 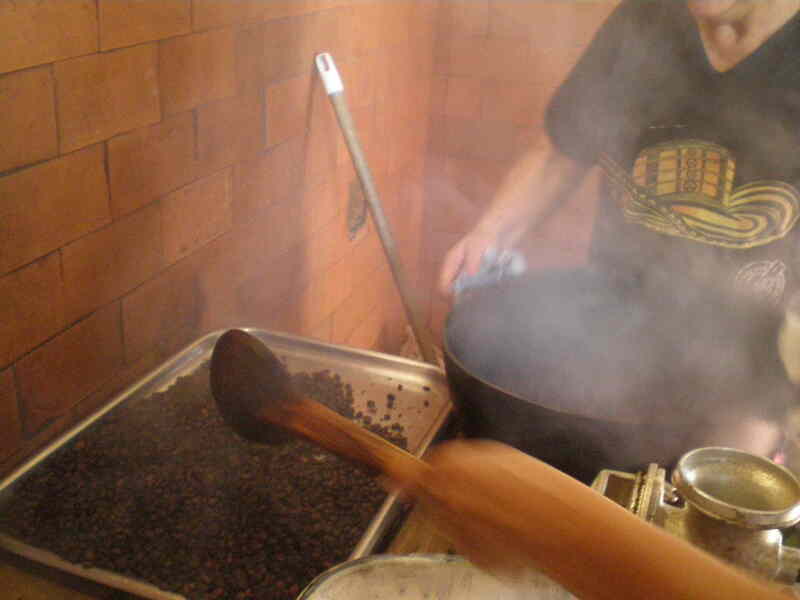 Separating coffee beans from their shells. 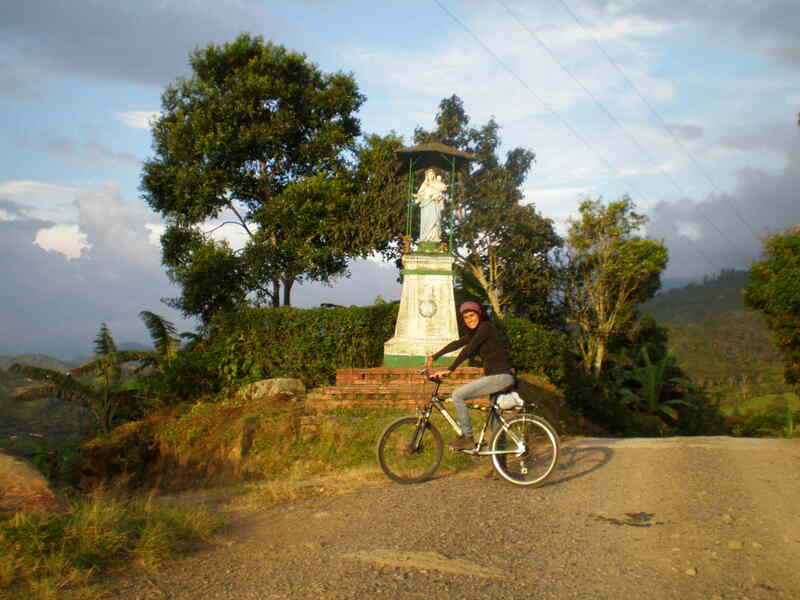 Cycling past a crossroads Virgin Mary statue in the coffee country west of Bogotá. 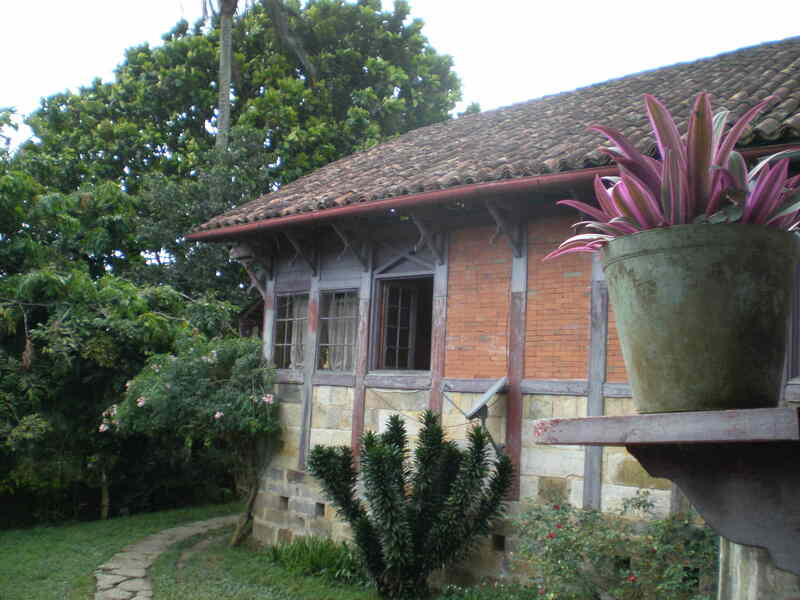 A house on El Porvenir coffee plantation west of Bogotá. 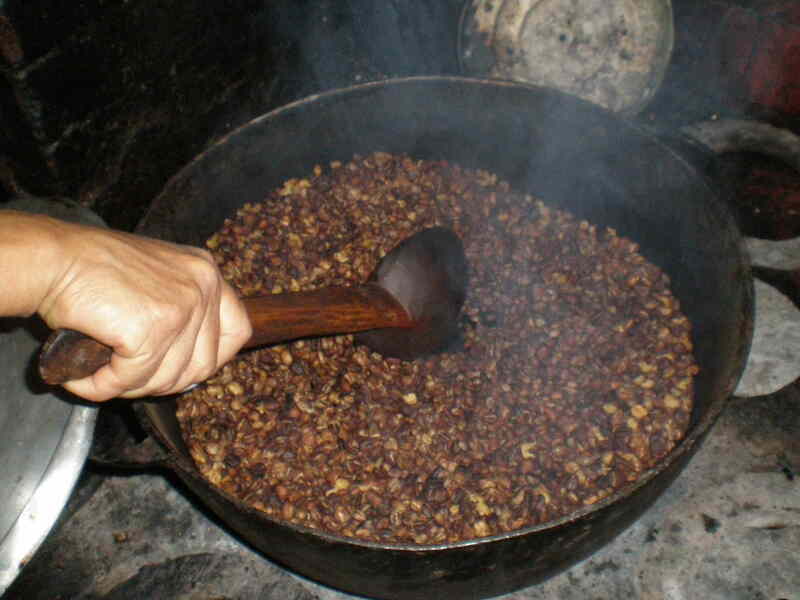 Removing the skins, or peels, from coffee beans. 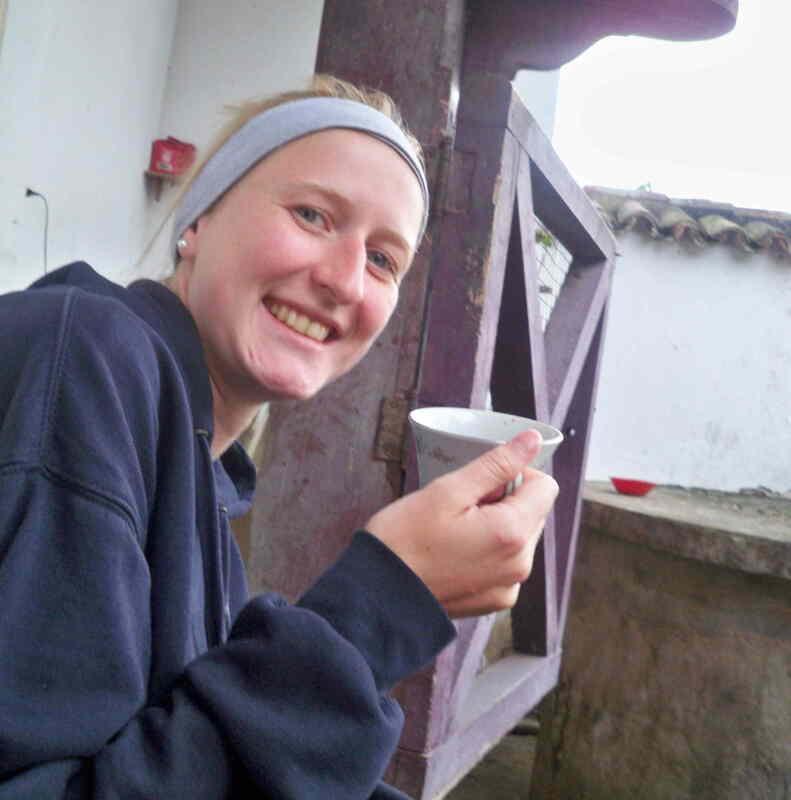 Laura enjoying a cup of fresh-picked, fresh-roasted, fresh-ground and fresh-brewed Colombian coffee. 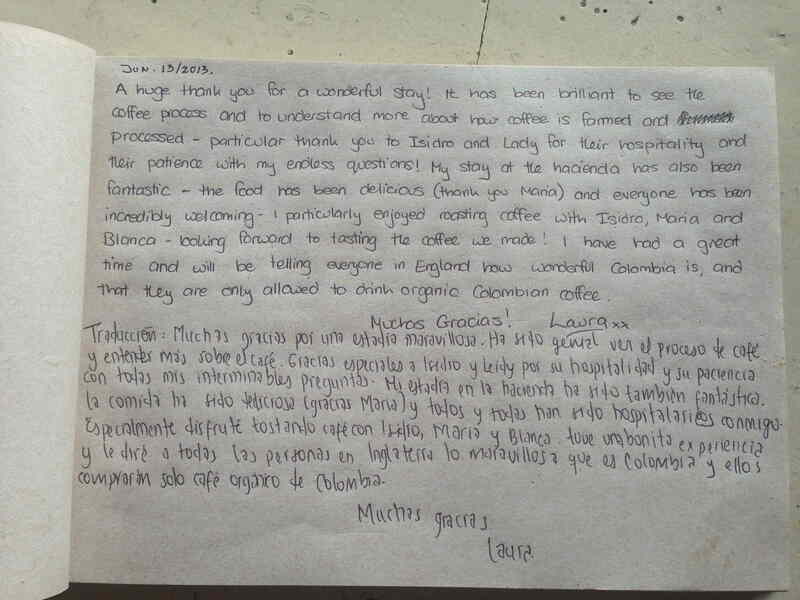 ‘It’s been brilliant to see how coffee is farmed and processed.’ ‘Thanks for the hospitality.’ Laura’s comment in the plantation’s guest book. 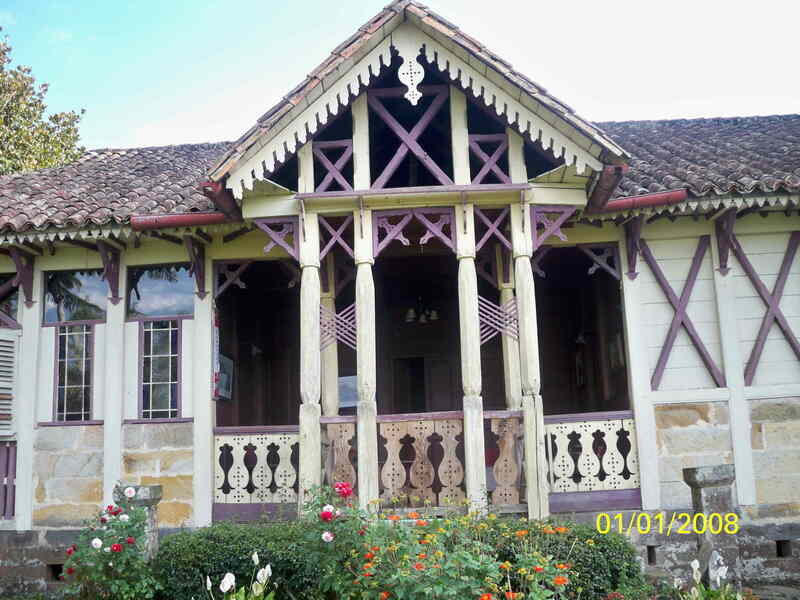 A handsome older house on the coffee plantation. 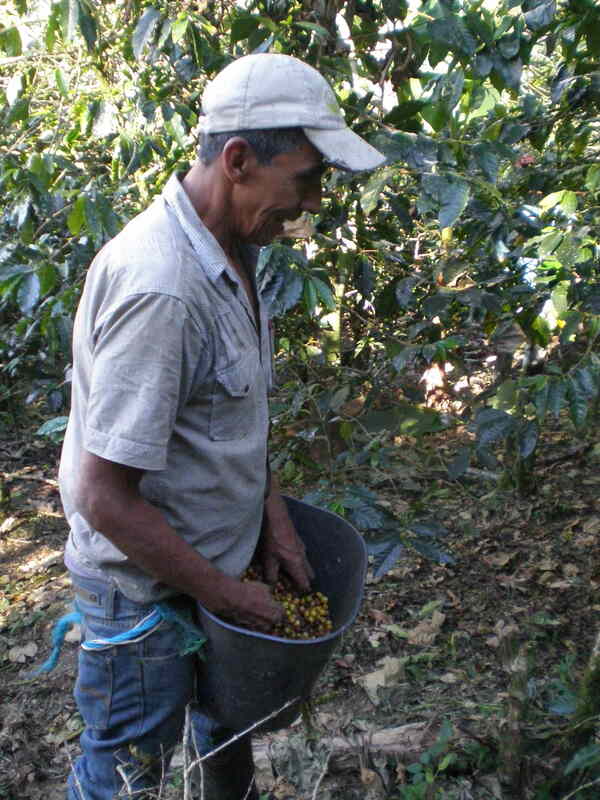 This entry was posted in Uncategorized and tagged bike tours, Bogota, coffee, plantation. Bookmark the permalink.